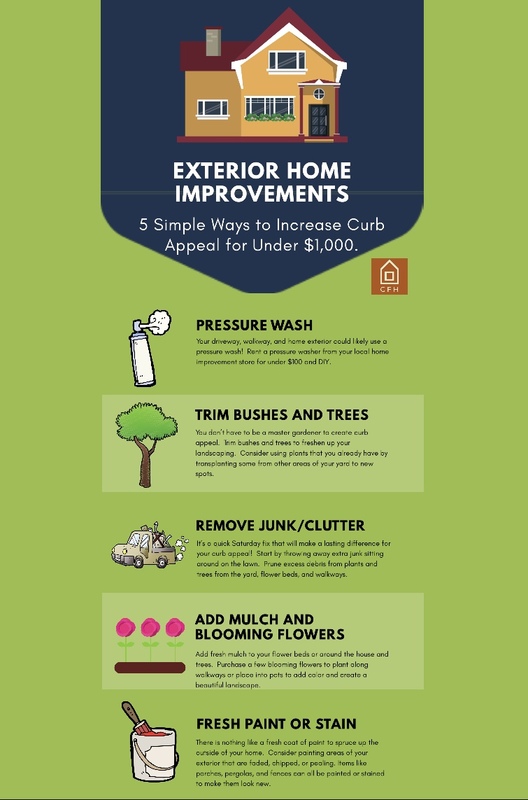 Increase your home's curb appeal for under $1,000! How does your home’s “Curb Appeal” rate? If you’re thinking of selling your home this summer, you should consider your home’s curb appeal because it’s one thing home buyers are thinking a lot about! In fact, over 70% of home buyers report that curb appeal is essential when making home buying decisions, according to recent findings by the National Association of Realtors. So, if you're thinking of selling your home this summer, or you just want to improve your home’s curb appeal, here are five simple exterior improvements you can make for under $1,000!